Ensure you're using the latest version of TouchCopy. Select the videos you wish to save to your computer and click "Copy Photos" in TouchCopy. 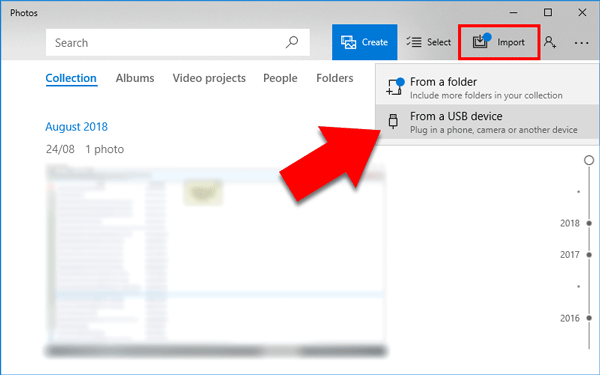 Let's take a look at 2 ways that you can quickly and easily transfer photos from your iPhone to your PC: TouchCopy and Windows Photos. As well as copying photos and albums from your iPhone, TouchCopy can even transfer videos from iPhone to PC or Mac. To find this function, navigate to the 'Photos' section in TouchCopy. This is where all camera-related items are stored. Here, you'll find a 'Videos' header. If you click the header, you'll see a list of all videos stored on your iPhone. Click a video to select it, or select multiple videos by Ctrl-clicking them. Once your selection is made, click 'Copy Photos'. Choose the location on your computer to save the videos to, then hit 'OK' to start copying! Connect your iPhone to your PC with your USB cable and unlock it. Click the Windows Start button in the bottom left corner of your screen. From the list of apps, select 'Photos'. 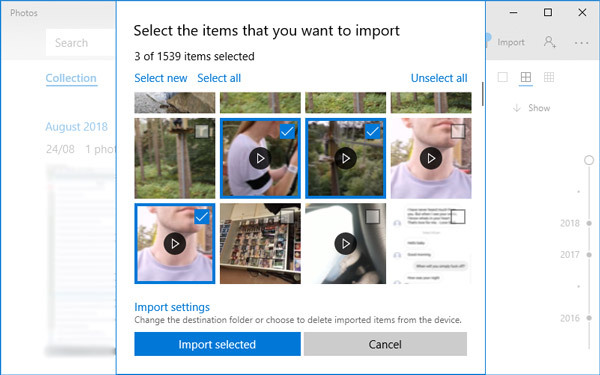 Select the photos and videos you wish to transfer, then click 'Import Selected'. You can change the destination of the transfer on your PC by clicking 'Import Settings' when making your selections. Here's how to transfer iPhone videos to PC on Windows 8 and Windows 7 systems.